Far from succeeding, the Iranian regime's deadly crackdown has inspired the opposition. Gary Sick on how the Green Movement can seize its next opportunity—and turn its rebellion into a revolution. We may be witnessing in Iran the first example of a post-modern rebellion. On the surface, there appear to be many similarities between today’s events and the Iranian revolution of 1978-79. However, the differences may be even more important. Thirty-one years ago, the opposition had a single leader, Ayatollah Ruhollah Khomeini, who inspired his followers from his exile abroad by sermons delivered on cassette tapes. In today’s Iran, the rulers have tried to eliminate anyone who might be leading the opposition. Top aides and relatives of Mir Hossein Mousavi and Mehdi Karroubi, the ostensible leaders of the Green Movement, have been arrested, subjected to show trials, and in a few cases killed. Mousavi’s nephew was reportedly assassinated by agents of the regime in Iran over the turbulent weekend of Ashura, a national holiday of mourning. This rebellion is less a sprint than a marathon, with each side attempting to wear out its opponent in a contest of endurance. However, attempts to lop off the head of the opposition—a predictable tactic by a regime composed of men who made the revolution in the 1970s and who know what a potent symbol a leader can be—have failed to achieve the desired effect. Instead, the opposition has gone viral. Rather than a hierarchy flowing down from one or more individuals at the top, or even the classic cell structure of a clandestine organization, the Iranian opposition most resembles a ganglion, a tangled bundle of nerve cells where each part of the system is constantly and instantly in touch with all other parts. We may see the real leadership of the opposition emerge from this Twitter, Facebook, YouTube, cell phone, digital camera, email, Internet collective. In the meantime, Mousavi and Karroubi serve as the symbols of the Green Movement. But they are actually relics of the past and they seem to be following their younger compatriots, rather than leading in any meaningful way. This is not the Iran of 31 years ago, the Iran of Khomeini. • Hamid Dabashi: Iran’s Younger, Smarter Revolution• Big Fat Story: How to Help the Green MovementThis post-modern syndrome raises a host of problems for those who would like to get a better idea about what is going on and where it may go from here. Old prescriptions may turn out to be entirely wrong, and there is no experience to provide even the outline of a new model. Of course this is equally true for the Iranian regime, which seems to be baffled and bewildered at the lack of success of its shock and awe campaign. Perhaps things are just as unpredictable for the opposition. One suspects that a lot of improvising is going on. Is there a grand strategist at work somewhere devising a new ideology or government structure or action plan? If so, he is remaining very quiet for the moment. For a rebellion to become a revolution and eventually succeed in overthrowing the old regime, it must persuade a wide swath of the population that it is going to win. It was intriguing to look at the array of candid photos posted on the Internet during and after the Ashura weekend where you catch occasional glimpses of middle-aged women and men, in addition to the predominantly younger crowd. But this was very different from the Ashura demonstrations of December 1978, when millions of people flooded into the streets and marched in unity. They were confident at that point, nearly 12 months into the revolt, that the secular shah would not dare attack them on such a holy day. Iran’s clerical leadership, it seems, after six months of sporadic demonstrations, has no such qualms. There is no clear script for what lies ahead. Those who jumped to the conclusion in July and August that the opposition was unsustainable in the face of determined repression simply misunderstood what was going on beneath the surface. Resistance is not merely marching. But now that the opposition has shown an increased willingness to confront and even clash openly with the police, some are concluding that the regime is about to collapse. That is probably also premature. I continue to believe that this rebellion is less a sprint than a marathon, with each side attempting to wear out its opponent in a contest of endurance. After the Ashura weekend, Iran’s rulers must know that their legitimacy is in shreds. Their attempts to claim that all the violence and killing was the work of foreign hands or that the opposition chose to kill its own supporters—even its own relatives—in order to denigrate the government are not likely to persuade many people. Mustering crowds of regime supporters and stage-managing counterdemonstrations will work only if the regime’s supporters have the same conviction, spontaneity, and determination as the Greens. But the regime still has all the instruments of coercion and repression under its control, despite occasional instances of police or even individual basijis changing sides in the face of determined opposition. The Revolutionary Guards have not yet been tested. In the revolutionary year of 1978, scores of military conscripts deserted and returned to family and village. But that had no appreciable effect on military performance until the top leadership itself began to waver and retreat. Mostly, soldiers follow orders, even when they don’t necessarily like what they are doing. One often forgotten development in the 1978 revolution is that the revolutionaries themselves were prepared to conduct secret negotiations behind the scenes. 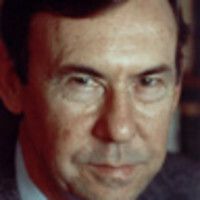 William Sullivan, the U.S. ambassador in Tehran in 1978, initiated indirect talks with some of the top revolutionary leaders in the country and even concluded an understanding of sorts. Sullivan’s talks were so secret that he failed even to mention them to his own government in Washington, thereby dooming them to failure. But the fact that Khomeini’s representatives were prepared to participate in such talks was significant, and it suggests that the possibility of an attempted accommodation should not be entirely excluded. Despite all the uncertainties, two facts are clear at this point: (1) The regime has handled the problem in such a way as to amplify its failings and to undercut its religious and revolutionary credentials; and (2) the opposition is not intimidated and is just waiting for the next opportunity to demonstrate its growing strength. That opportunity may not be long in coming. Gary Sick served on the National Security Council staff under Presidents Ford, Carter and Reagan. He was the principal White House aide for Iran during the Iranian Revolution and the hostage crisis and is the author of two books on U.S.-Iranian relations. Mr. Sick is a captain (ret.) in the U.S. Navy, with service in the Persian Gulf, North Africa and the Mediterranean.